In modern Egypt, traditions limit women’s contact with men via practices such as veiling and gender segregation at schools, work, and recreational activities. To simply walk down the street, girls and women have to put up with abuse running from verbal to physical. The Thomson Reuters Foundation’s Women’s Rights Poll in 2013 even determined Egypt to be the worst out of 22 Arabs states for women due to high rates of sexual harassment, high rates of female genital cutting, a surge in violence and Islamist feelings after the Arab Spring uprisings, plus discriminatory laws and a spike in trafficking. Since then, the first step has been made legally to end sexual harassment in Egypt with a new law in 2014 criminalizing sexual harassment for the first time in modern Egyptian history. But still, a troubling trend has inflicted Egyptian society for some time—young Egyptian women and men are bound by the barriers of gender-segregating traditions and practices, social taboos, stereotypes, and other cultural norms that leave a narrow space for open expression and opportunity to challenge the status quo. The BuSSy Project seeks to break away from these confines, giving those living in this traditional society his or her own opportunity at a story, a face, a voice. The BuSSy Project is a performing arts group based in Cairo, Egypt that seeks to provide open and uncensored spaces for young women to candidly and anonymously share their personal experiences with a range of social issues, with a larger campaign to raise awareness about the different, and often unreported, facets of Egyptian society through storytelling. 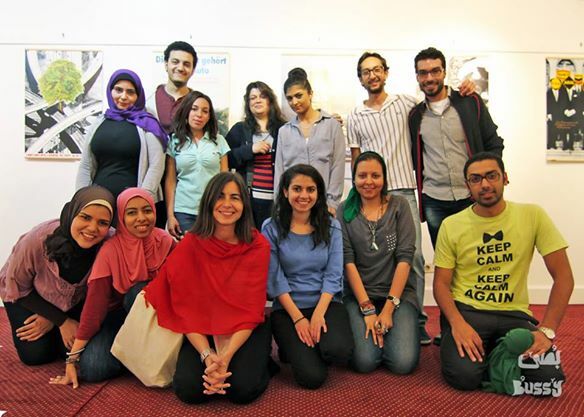 BuSSy’s storytelling workshops expose real women’s stories and provide a space for free expression on issues that society was failing to address, while the performances offer a unique opportunity for young Egyptian women to write for themselves instead of being written about by others. They are not professional artists, but a group of passionate, enthusiastic youth with strong faith in the value and impact of the project. 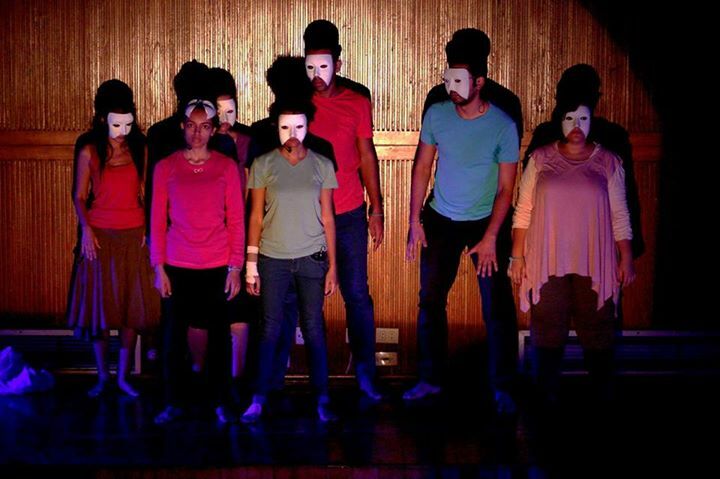 They felt that theater would be the best way to reach a large body of people while providing the storytellers with a direct opportunity to publicly reclaim the truth as they experienced it. The BuSSy Project’s stories reflect a reality Egyptians are living with regards to gender issues that are experienced by all members of society, irrespective of class and background. Sponsorship for BuSSy performers on a tour throughout Egypt and help empower these young women to reclaim their stories as they experienced it. Spread the word on Social Media: The BuSSy Project is facing censorship! The BuSSy Project’s high school students’ performance in Cairo, Egypt, was unfairly canceled (both in venue and funding) due to “inappropriate” content, with excuses of technical issues in the space. Check out the full story below and share the following messages with your social media networks. In January 2014, The BuSSy Project and AFCA Foundation for Arts and Culture entered into a partnership to facilitate storytelling workshops in high schools all over Cairo, Egypt in order to document the experiences of high school students and create an open space forum for young Egyptians to feel empowered by the chance to share experiences with their lives, families, relationships, and school dynamics. The stories of the high school students were then adapted into a staged performance, to raise awareness about the issues discussed, calling “500s” [or “Khomsomeeyat”]. Despite its initial difficulties, “500s” was scheduled to proceed with its premiere, at an independent venue. The co-producers, BuSSy & AFCA secured the Greek Campus in Cairo to host the premiere of “500s” and began publicizing the new dates of the performance, 16 & 17 April.However, just two weeks before the show’s premiere, the leadership of AFCA decided that the show’s content is inappropriate, and AFCA has decided that they no longer feel comfortable producing the show without making major changes to the play. AFCA then suggested that BuSSy submit the script of the performance to a committee, selected by AFCA, to review the script and make suggested changes. For the second time in less than one month, “500s” was censored. Since BuSSy had not changed its convictions concerning censorship, AFCA decided to cease its support of the performance, which was not only as co-producers, but also has financial supporters. “500s” is now facing a ‘sink or swim’ situation–and we have decided to choose to ‘swim.’ The premiere, which is scheduled for April 16th, will go on, though due to BuSSy’s limited financial resources, it will be a difficult endeavor. Thus, we are reaching out to members of our community for support, to bring to light the realities of art censorship and regulation in Egypt, and help us to share the important messages that “500s” addresses.